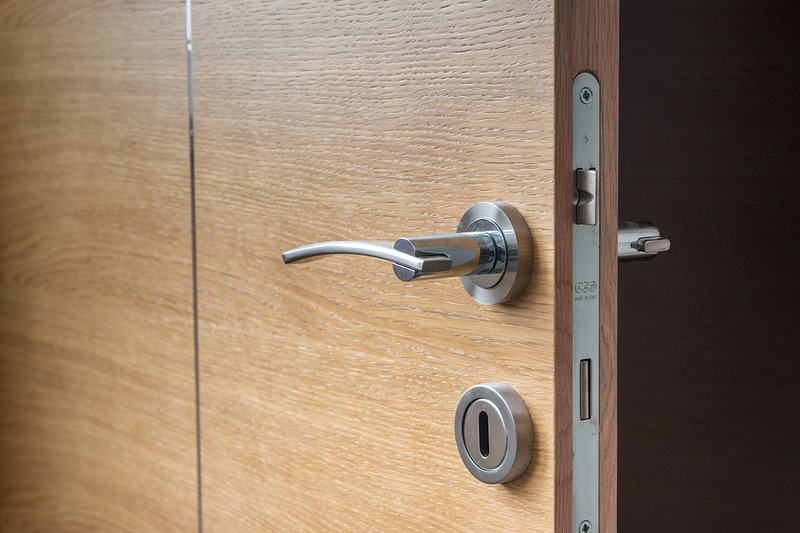 Door lever handles are considered suitable for most environments and also offer other benefits. They are particularly helpful when you need to get through a door with your hands full and don’t require you to turn the knob to get into the room. Not only do they allow for ease of access, lever handles also prevent stains or grime, whereas doorknobs do not. So to find out where and how to fit them at home, here’s our useful guide. The lever design provides an easier grip when opening a door and it prevents your hand from slipping. This is a benefit to the elderly and for those with a physical disability. The design is also useful if your hands are wet or greasy as it can make pulling a doorknob more difficult. Another advantage is that the lever design enables doors to be opened from a latched position even when your hands are full, so you can depress the lever with your elbow. How do I know if I need to fit lever handles on my door? Whether you’re at home or in a public environment, lever handles are becoming much more prevalent, especially in public use areas due to the new disability discrimination regulations. The Disability Discriminations Act (DDA) states the following requirements for lever handles mounted on a door that may be used by the public, or any location that an able bodied person can enter. A disabled individual has the right to be able to perform the same job role or access the same area. Lever handles should also be securely fixed using bolt through fixings and/or secured spindles. The lever handles should be fitted between 1000mm and 1100mm from floor level. Please note that private dwellings do not come under the legislation shown above. Lever handles are not generally distinguished as being specifically designed for internal or external fitting, so within reason they can be fitted in either area. The only main thing to note is that externally fitted lever handles, especially those in marine type atmospheres, should be made from a material that will weather well and the mechanical components will require more care than their internally fitted counterparts. For our full range of lever handles, please click here.